Boost your energy with molasses. Not only does it taste good, its also a rich source of iron, (one tablespoon contains 4.5gms of iron), which means its particularly good for pregnant or menstruating women, vegetarians and people suffering from anemia. It’s much healthier than many other sources of iron because it is low in calories and completely fat free. Molasses is also a rich source of calcium which strengthens bones, teeth and heart muscles. It’s also rich in copper, manganese and potassium. What is blackstrap molasses & what is the difference between regular molasses & blackstrap molasses? Regular molasses is the first or second boiling of cane sugar syrup while blackstrap is the third boiling of the syrup. Iron levels appear to increase 5% in the 3rd boiling. “Sugar canes are harvested and machines are used to press the juice out of the cane. The sugar cane roots go very deeply into the soil, commonly 15 feet down and ranging from 6.5 to 19 feet – deep enough to bypass nutrient depleted topsoils that have become the norm and take in more nutrients. That juice is boiled then put through centrifugal machinery to extract the sugar crystals from the liquid. There are three grades of molasses: sulphured, unsulphured, and blackstrap. If you have trouble taking in enough servings of dairy to help provide you with enough calcium, blackstrap molasses can be a helpful addition to your diet. Just two teaspoons of blackstrap molasses will give you nearly 12 percent of your daily need for calcium, as well as some magnesium, which is needed to help absorb the calcium properly. 1 Tablespoon of Blackstrap Molasses, first thing in the morning. Add molasses to a glass and add just enough hot water to cover the molasses. Stir until dissolved. Add ice and then top off with either organic milk or almond milk. Avoiding milk? Try these recipes DIY Raw Organic Almond, Coconut, & Rice Milks & DIY Raw Seeds Milks – Sunflower, Sesame, Chia, Hemp… Even yummier is to blend the whole concoction. Store blackstrap molasses in a tightly-sealed container, in the refrigerator or a cool and dry place, to retard mold growth. If the mold still grows, discard the syrup immediately. Keep opened containers of the syrup for not more than six months and sealed containers for a year. Make sure that that blackstrap molasses is unsulphured, as there are chances of chemicals present in it. Though it has a cleaner and clarified taste, people might be sensitive to it. Clean the outside of the blackstrap molasses’ bottle, in case of any drip, to avoid growth of mold. BAKING SODA & MOLASSES KILLS CANCER! 2-3 drops of Essential Oil i.e. (use Tea Tree for acne prone skin, use Ylang Ylang for mature/dry skin, use Geranium for combination skin). Take a bowl and mingle the ingredients nicely to make a smooth paste. If the paste is thick, then you can add few drops of water in it. Apply this paste on your face and let it dry out for at least 20 minutes, rinse with water. 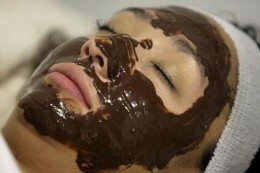 This home made facial mask will detoxify your skin and is ideal for acne and blackheads treatment. Molasses As Fertilizer – What Your Organic Garden Is Missing? Actually, it’s not so much a fertilizer as food for the beneficial microorganisms in your soil and on your leaves. Molasses has some nutrients, too, but it’s mostly about the carbohydrates – the sugar. And it’s not some silly home remedy. It’s actually one of the most important things I bring in to my garden. You can use molasses as fertilizer because microbes need sugar. Our soil may very well be lacking in this sugar, especially if we don’t have a functioning ecosystem with nutrient cycling and humus formation occurring, and especially if we’re removing the grass clippings or neglecting to keep a quality mulch layer in the garden. Molasses can be mixed with 100 parts water and sprayed directly onto plants and soil. This could be done regularly, such as monthly or even weekly. Usually, I’ll combine this molasses fertilizer with other liquid organic fertilizers like kelp while I’m doing it, and as mentioned above, I always combine it with microbial inoculants and nitrogen fertilizers like fish. Molasses is also sticky and helps everything stick to the plant leaves. I mix it with water in a backpack sprayer or hose end sprayer, but even a watering can would work. I just learned many things about molasses that were totally new to me! I’m going to try taking molasses to reverse gray hair:) Thanks for this article, I really enjoyed it. Thanks Tracy, I’ll be doing the same thing myself ;-D Cheers! Really informative piece. Thank you. 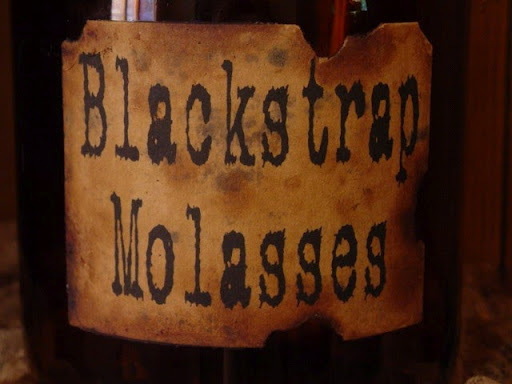 Blackstrap molasses has been on my radar for research. You just saved me some serious time. From what I have found you nailed it the best. I will just be linking to you! Hi, i tried blackstrap molasses and seemed to have the same reaction for 2-3 days–(the first night i had mixed 1 tbsp with warm coconut milk, the second day i had 1 tsp in a looot of hot water and tea) left side of my body felt funny, numbness/tingling feeling in my chest and arm. The third day I still had chest tightness. I’m really frustrated because I feel like I’m having a really weird reaction (obvi by now i stopped taking it), but even just in those few short days I saw incredible effects. do you happen to know what i was experiencing? thank you. It should be noted that there is a difference in the nutrition values from one brand to another. We use Wholesome Organic Unsulphured Black Strap Molasses which has not 340.57 mg of potassium in 2 teaspoons as listed above but 486.67 mg or 730 mg per tablespoon. We take 3 teaspoons a day as a potassium supplement to increase our potassium to sodium ratios. We also take potassium bicarbonate [not sodium bicarbonate] but one should investigate all the precautions first. would take perhaps from one to five years. Did u really got your grey hair turning brown again? How to get it black again?? I m eating molasses from last 15 days..
How long i have to eat?and does it benefit? When i cn see the results? Did u really got your grey hair turning brown?? How long i have to eat? Do you have to add Blackstrap molasses to hot water or can you just take it straight from the tablespoon from the jar? I’ve been adding blackstrap molasses to my diet for years and it’s done wonders for my health. I recently decided to try it as a face mask because I’ve heard how wonderful it is for your skin. Before finding this site I saw on another site that you could leave it on your face overnight, however, I decided to leave it on for 2 hours. I didn’t think it would do much harm as it’s not like I was putting a chemical peel on my face. Anyway, doing this was the worst mistake of my life. When I woke up the next morning the once clear, smooth complexion I’ve worked years to achieve was now bumpy and greasy. My skin looked rough and to the touch felt like goose bumps/raw chicken skin. My skin basically couldn’t breath from all that molasses and it produced excess Keratin. I read online that this is might be something called Keratosis Pilaris and all my symptoms match this. However, the site also stated this is a genetic disorder which some people have had for years. I’m not sure if this is what I really have since I’ve never had anything like this happen to me before. I don’t know what to do at this point and if the skin I had just 6 days ago will ever return. I am so embarrassed as just the other day, before doing the mask someone told me how great my skin looked. Wow, years of hard work ruined in just 24 hours. I can’t believe I made such a stupid mistake leaving it on for so long. How was I supposed to know this would happen? Today I have started using Molasses for my personnel problem ,causes by Diabetes and High blood pressure .I have a Diabetes Neuropathy and so many Burning sensation both my legs and hands.And I have a Digestion problem. Wow! You learn something new every day…thank you! !